100 Feet(30m) Waterproof Action Camera. 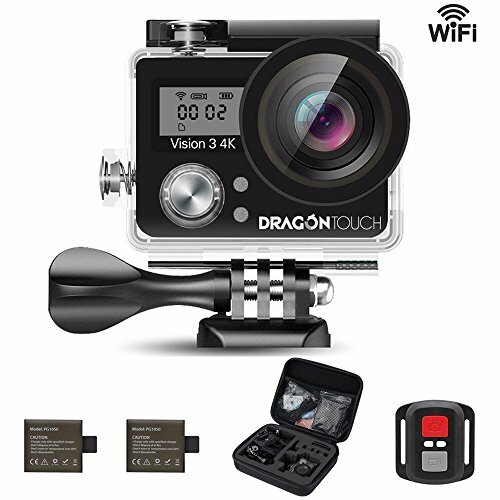 Dragon Touch Vision 3 is designed to withstand extreme environments. Equipped with IP68 waterproof case, it\'s durable waterproof to 100 Feet (30m). Ideal for water sports like swimming, drifting, surfing etc. Come along with tons of free mounting accessories, you can transform it to fit various indoor and outdoor extreme activities.